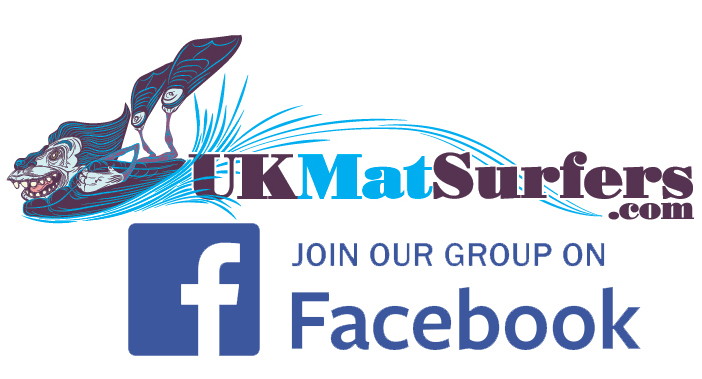 UK Mat Surfers started life as an internet Community bringing the disparate throng of mat riders around the UK together. From there, it grew to encompass the wider world. As time went on of course, the internet world drifted away from forums and eventually the old Community became unsustainable. We set up a Facebook group some time ago which ticked along but as mats have become more popular it has started to pick up some steam. It's really good to get back to that sense of wider community and sharing that mat surfing embodies. If you're not on Facebook, and don't like it (and that is certainly an understandable point of view), maybe set up a sham email account, set up a profile and just use it for the Group! Whatever works.